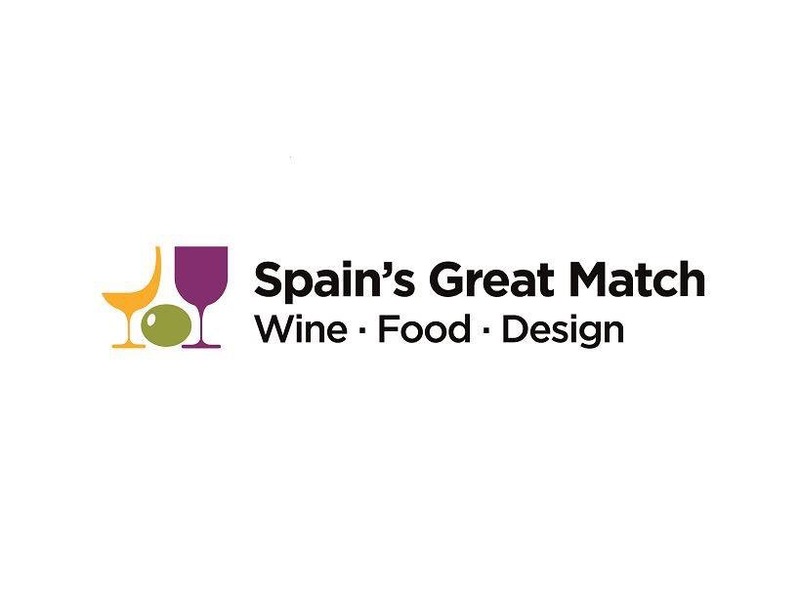 Thanks to all who participated in our contest for two tickets to Spain’s Great Match in NYC on Oct 4th. The first person whose name was drawn on Sunday is unable to attend, so the tickets are going to the second name drawn, Gil B, who entered from our Facebook page. Congratulations Gil! Win tickets to Spain’s Great Match! The winner’s name will be drawn out of a hat on Sunday Oct 1st at noon EST (if feasible I will stream it to Instagram) and we will reach out to notify the winner shortly thereafter. Over a Sunday brunch with friends a few seasons back, the topic of wine came up (as it inevitably does with me). “We have friends who own a winery in the Finger Lakes,” they said. 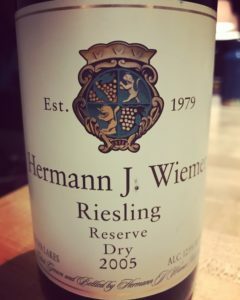 That winery-owning friend turned out to be Oskar Bynke, co-owner of Hermann J. Wiemer Vineyard. And that conversation led to a plan to visit the Finger Lakes, which would mark my first trip to the region whose wines I have been a fan of for quite a few years. Back in 2011 I wrote about some of the rieslings and pinot noirs that had me excited about the Finger Lakes. I’ve now made two visits to the area during last fall and this fall, and those experiences, coupled with my regular tastings, have given me the opportunity to see how some of the wines I have been following have aged, and how some of the producers have evolved, and I can now add to my impressions. 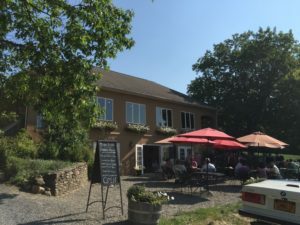 My visits last year and this year have focused on producers from the area that I have found to be strong performers in the past, like Ravines Wine Cellars, Hermann J. Wiemer, and a few others I have followed more recently including Fox Run (and its collaboration with Anthony Road and Red Newt, called Tierce) and Forge Cellars. 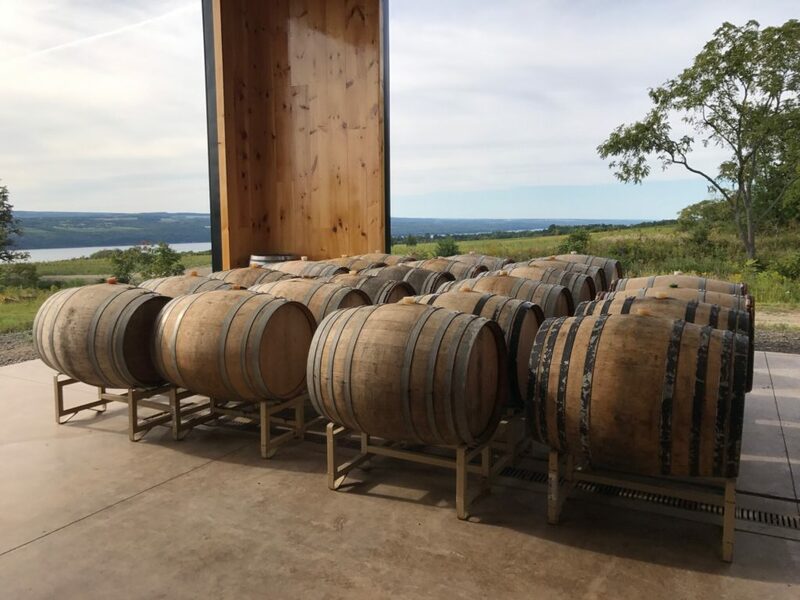 It’s still early days in terms of deepening my knowledge of the FLX wines, so this post is not so much a broad assessment as it is a narrowly focused progress report, with an eye especially cast toward trying to assess consistency and ageability. Rieslings – can they age? Back when I first got into FLX wines, Ravines Wine Cellars showed early promise to me in a few ways – first, in producing what was my favorite single-vineyard riesling from the region (the 2008 Argetsinger Vineyard) and second, in being the source of the first wine to make me believe that good pinot noir could credibly be grown in the Finger Lakes, the 2008 Ravines pinot noir. In tastings of recent releases over the past few years, the basic Ravines Dry Riesling and single vineyard rieslings from the 2013 through 2015 vintages have shown consistent high quality, with a sense of fine mineral on the nose being a constant that holds my attention. The 2015 Dry Riesling available now has smoky, flinty mineral on the nose and racy acid on the palate, with an anisette note that lingers on the finish. As in most years, it’s a great entry level riesling for those wanting to learn about the Finger Lakes wines. The 2015 White Springs Vineyard bottling raises the level for just a few bucks more – here, there is mineral on the nose again, but it seems finer, with a slight funkiness to the rock and herbal and floral notes also apparent. The palate again is blessed with juicy acid and the palate impression is a touch more harmonious than the appellation bottling. And what of ageability? I’m afraid a bottle of the 2009 Argetsinger riesling I had socked away in my cellar hasn’t quite aged as well as I had hoped. While the petrol nose and minerality I detected in the wine’s youth still remained (with the mineral character now showing more as a salinity on the palate), the wine’s elements have not quite progressed in harmony; the acid that I saw as promising backbone back when I tasted it at release came across as a bit shrill in these more recent tastings. Since I’m kind of an acid freak in my wine preferences, that’s saying something. But I don’t mean to make too much of it, as I’ve observed similar progressions in some good rieslings from strong German producers too, and it’s possible that the wine is in an awkward phase of its development, but for now, my judgment of the ultimate potential of this wine that had been an early favorite is mine is a bit more cautious. That didn’t stop me from buying a nice tall magnum of the 2012 Argetsinger bottling however – I still believe this site and producer will produce very good wines – the question is, can they be great? Perhaps the 2012 will help provide some answers in time. A few other wines showed to me what those from the region already know well: that Finger Lakes rieslings can age gracefully. Most notably, a wine served blind to me that I was certain was a very good German kabinett (I further called Rheinhessen), which turned out to be a Hermann Wiemer 2005 Dry Reserve riesling (which I understand would have contained all Magdalena fruit so it would be equivalent to the Magdalena SVD in Wiemer’s modern day lineup). Notes of petrol and mineral on the nose, and light sweetness on the seamless palate all spoke of a wine aging effortlessly. Similarly, a 2012 Magdalena tasted from magnum showed lovely smoky mineral on the nose and a similarly balanced palate. Various bottles of HJW vineyard bottlings that I have tasted around 5-7 years from vintage have also shown similar grace in their aging curve, but with slightly leaner and drier profile and perfumed floral aromatics that reflect the character of that site. 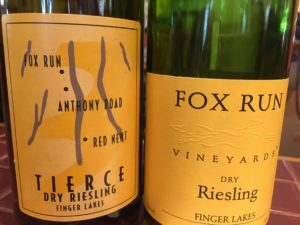 I also had the opportunity to put a few FLX rieslings into a lineup for my blind tasting group (made up of experienced collectors and a few industry professionals) for some assessments free from any bias or preconceptions about Finger Lakes wines. Although the 2014 Tierce did not show as well that night as it did when I tasted it at Fox Run (where it showed nice rocky minerality), the 2014 Wiemer Magdalena from Wiemer more than held its own, vying strongly for wine of the flight with the 2009 Eitelsbacher GG from Karthauserhof, which I consider to be a top bottling from an elite German producer in the Mosel. No one called the Wiemer as being from the Finger Lakes; guesses included Alsace, Germany and Austria. An interesting aspect to keep an eye on is the variety of approaches that different producers seem to employ with respect to the level of residual sugar left in the rieslings. While some producers like Wiemer allow a moderate amount (about 7-8 grams per liter in the current vintage) of residual sugar to remain in the single vineyard rieslings, according to what feels like a natural resting point for the vintage and the particular vineyard (for example, their Josef Vineyard bottlings have a considerably higher (~62 g/L) RS than Magdalena and HJW) in order to capture the particular qualities they seek (and no particular RS level is sought to achieve this), other producers like Ravines and Forge Cellars seem to aim for drier bottlings (Forge even specifies “bone dry rieslings” on their website and emphasized that in our on-site tasting as well) in the range of 3 to 4 g/L of RS. The result of the bone-dry level of (un)sweetness at Forge seems to be that the wines become not only drier but more herbal, with a slightly phenolic feel. I enjoyed the florality, richness (they aim more for a white burgundy-like level of body rather than that typical of riesling) and dryness in the Forge rieslings but friends who are more casual wine drinkers found that this resulted in wines they found too bitter. In that sense, Forge’s approach seems to be to target wine drinkers who actually do “drink dry” and not (at least not perceptibly) sweet. 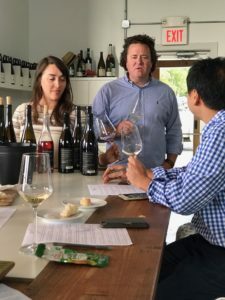 In speaking with partners Rick Rainey (vineyards) and Justin Boyette (winemaker) and assistant winemaker Alexandra Bond, it does seem clear that the ambition level at Forge is high and that they are targeting geekier wine consumers and serious riesling and pinot noir buffs. By contrast, from extended informal conversations with Fred and Oskar from Wiemer (full disclosure, thanks to the personal connection established through mutual friends described above, I consider them to be personal friends), I understand that their view is that pushing some of their single vineyard bottlings to total dryness can cause the wines to have too angular a feel, with acidity becoming too prominent. Query whether this is exactly what I was experiencing on the 2009 Argetsinger. Pinot noirs – is the potential really there? The potential for pinot noir grown in the Finger Lakes, to me, is an unsettled question. I have had promising bottles, and disappointing ones, and even the producers in the region seem to be split on the grape’s potential. Some producers, like Forge Cellars, Heart and Hands, Red Tail Ridge and Ravines, seem to be giving substantial focus to their pinot offerings, while others like Wiemer seem to have a more cautious view of the grape’s potential in the region. For me, the 2014 and 2013 Ravines pinots haven’t been able to match the beauty of the delicate 2008 that impressed me years ago. (For the delicacy part though, the salmon-colored 2016 Ravines dry rosé is light, deliciously racy and a bargain.) A 2015 Heart and Hands pinot poured by the glass at Dano’s Heuriger on the Lake was muted on the nose but enjoyable on the palate, showing more beauty akin to the Ravines that I adored way back when than the more recent Ravines vintages I’ve tasted. A 2007 Wiemer pinot noir showed lovely perfumed fruit on the nose, but the palate didn’t quite live up to that promise, coming across as a bit tannic despite its age without the finesse and harmony I’m looking for. The best showing for FLX pinot noir from my recent tastings was from a pair of pinot noirs by Forge Cellars. Forge is a producer that is relatively new to me, that I heard about from my friend Mikhail Lipyanskiy (see his excellent FLX notes here), and I understand that the tip originally came from Lenn Thompson of the Cork Report. Upon looking into Forge a bit more, I discovered that one of the partners driving this winery is Louis Barruol, whose wines from Chateau St. Cosme in the Rhone Valley of France have impressed me in the past, and that piqued my interest to see what he was doing with Finger Lakes terroir. I tasted their rieslings first and found serious wines, but that is not surprising for an FLX producer. Pinot noir is tougher here. Tasting the 2015 Forge Cellars Pinot Noir Classique, I was pleased. 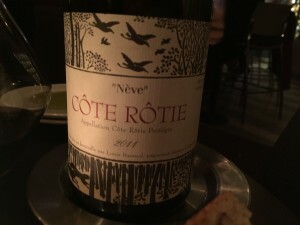 The nose showed chalky mineral, perhaps owing to the shale-rich soil present on the estate vineyard where their pinot grapes are grown, and the nose and palate were both impactful without being heavy. With lightly sweet fruit and a touch of sappiness on the palate, the Classique finished with an herbal edge that registered to me as stem, and Alexandra confirmed about 40% stem inclusion on this bottling. The stems did not detract from enjoyment of the wine now, registering not as pyrazine but as a touch of herb and peppery underbrush. My first sniff of the 2014 Les Allieés pinot was even more impressive, loaded with funky dirt and mineral on the nose – notably more so than any other FLX pinots I’ve had. Both of these Forge pinots share a slightly stinky funk (and I mean that in a good way) to the mineral aroma that is evocative of Graves moreso than the Cote d’Or, or perhaps some New Zealand pinots. The palate showed sweet fruit balanced by a good amount of acid, and finished long. The impression overall surprised me because this was the first Finger Lakes pinot that felt arguably Old World to me. In speaking with Rick Rainey, it was clear that Burgundy is a benchmark reference for the team at Forge, but with the cool climate fruit and earth showing here, I was reminded more of good German spatburgunder, but without the overuse of oak that hinders many of those wines. Upon retasting at home from bottles I purchased, I was even more impressed with the Forge pinots than I was in the tasting room – they have set a new higher bar for Finger Lakes pinots in my book, and I look forward to seeing what future vintages look like for these promising pinots. Also worth a mention is the Forge Cellars rosé, which was the polar opposite in style to the Ravines offering. Almost verging on the garnet color that you expect from a pinot noir red, this is a brawny, flavorful saignée-made rosé, the kind that red drinkers who say they don’t like rosé would enjoy. Find some fresh produce from one of the area’s many local Mennonite or Amish farms. We found a bounty of goodies at Hillside Produce Greenhouse in Dundee. Rosé for people who don’t like rosé? I’ve never been much of a rosé guy. Since its resurgence in recent years, rosé has pretty much become de rigeur in the summertime, from rooftop bars to Hamptons blowouts to backyard barbeques. I love reds, I love crisp whites in the summertime, and rosé is a little bit of both, so what’s not to love, right? Yet rosé has always left me a little flat – neither here nor there – either watered down compared to a red, or having a cherry bitterness compared to a good white wine, and usually not complex enough to keep me interested. There have been exceptions- I have liked Domaine Tempier’s Bandol rosé, a blend of mostly mourvèdre with ample parts grenache and cinsault with some earthy complexity, but at roughly $40 a bottle, it has never become a part of my regular wine rotation. 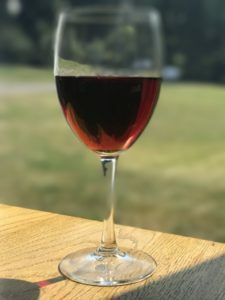 With summer hitting full swing in recent weeks, I decided I should revisit the world of rosé, to see if my perspective had changed over the years, and to see if I couldn’t find something I liked to add variety to our summer outings. My first few attempts were mixed. Lucien Albrecht’s cremant d’Alsace Brut Rosé NV was a refreshing sparkler at a decent price (can be found at about $13 retail), and well loved by the crowd at our Memorial Day gathering, but I honestly don’t know if I’d personally choose it over my favorite whites, or even a craft beer. I next tried the 2015 Bedrock Ode to Lulu rosé. If ever there was a chance for me to really love a rosé, this was it – made by a winemaker whose wines I have dug in the past and featured in these pages, and from a blend not unlike the Tempier, with mataro (another name formourvèdre), grenache and carignan. Yet while it was fine for most rosé drinkers we shared it with, it just did not ring my bell. The search went on, and my next round of attempts yielded promising results. 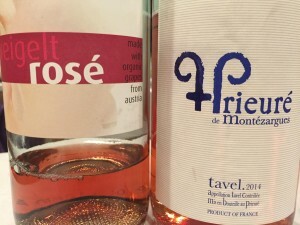 The Prieuré de Montezargues rosé from Tavel, an AOC in the Rhone Valley of France, brought the light red fruit flavor that the other rosés did, with good acid, but also a bit of the earthiness and florality that I like from the Tempier Bandol. And I suppose it makes sense, Tavel is a few hours away from Bandol, and I have always found a certain similarity in rusticity and spice between Rhone wines and Provencal wines. The Prieuré de Montezargues finished a touch bitter on the finish at first, but I liked it better after half a day’s aeration. It was an unexpected place that helped me hit rosé paydirt. Enter Austria! 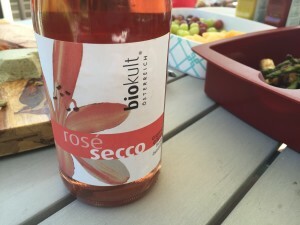 As a pinot noir devotée, I might’ve thought that the Biokult Rosé Secco (organic)might be the wine to convert me, being from 100% pinot noir (as was the Albrecht), and I did like it and its light effervescence, but it was the Biokult Rosé, (also organic, and can be found as low as $10) from zweigelt, an Austrian variety created by crossing St. Laurent and blaufrankisch, that I liked the most. 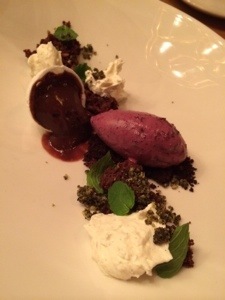 The fruit had an oomph to it, that was impactfully flavorful without overt bitterness. Put simply, it brought me the most pleasure, and isn’t that what rosé is about? I’ll admit, I might’ve liked this one most because it was most like a red. But for a red wine drinker looking for a rosé to love, this one did just the trick. The Albrecht, Prieure de Montezargues and Biokult wines were tasted from complimentary review sample bottles received from the respective distributors for these wines. The gauntlet had been thrown down, and the finals of the Heritage Auctions Blind Tasting Challenge was in the offing. Three finalists from each of four cities — Los Angeles, New York, Dallas and Hong Kong –were invited to duke it out for a trophy and bragging rights. While this may all sound a tad dramatic, I’m just having a bit of fun with the write-up; this competition is in its inaugural year and it’s more a lighthearted friendly competition than an intense battle of deadly serious contestants. 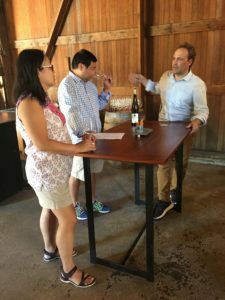 Earlier in the year, I wrote about participating in the qualifying round of this blind tasting competition in this blog post. As the 3rd place finisher in the New York sessions, I qualified for the finals in Las Vegas. The tricky part: the competition would focus on auction-level wines, which essentially meant wines that I don’t often drink: expensive, and with age on them. I expected the other finalists to likely be older than me, or at least have more years of collecting and more experience with auction-level wines than I do. Even though it’s an informal competition, independently I had been trying to get to a new level with my blind tasting, so this was a good excuse to get a bit more rigorous in approach. The first component of my plan: practice. My companions in Leo’s Blind Tasting Group are a great resource, and the wines they’ve poured at club dinners form the vast majority of my experience with auction quality wines. But it only meets once a month, and we are very informal about it – the ethos is sort of ‘guess if you want to’. I had about 5 weeks to go until the Finals; time to step it up. So I started weekly blind tastings, turning again to Morrell Wine Bar, not only because it’s convenient to my after-work commute, but also because of their wide range of wines that the somm could pour for me blind. 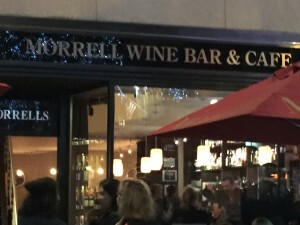 Most wine bars can pour you some good young wines by the glass, but Morrell’s had options you will find scarce elsewhere: big names in tasting pour sizes I could afford, with age on them. To wit, the wines that the wine director, Anna-Christina (herself a candidate for the Court of Master Sommeliers Advanced Level, so she had a great bead on how to test me), poured for me included: Coche Dury Meursault 2006, 1980 Bertani Amarone, 1998 Leoville Barton, 2003 Chapoutier Hermitage Le Méal, 1985 Opus One, 1991 Vega Sicilia Unico(!). Real classics, and mature examples. I committed to always giving an answer, even when I was lost as to what the wine in question was. Anna-Christina was great about keeping me challenged while also giving hints and tips as needed. The second component of my cramming: I started listening to the Guild of Sommeliers podcast, especially the episodes about blind tasting. Yes, this is wine nerdy to the extreme for someone who’s not a sommelier. I admit to feeling elation as I listened to a master somm describe a wine he was tasting, venturing my own guess of “Chablis”, and then finding out the wine was indeed a Chablis. The person next to me on the train probably thought I was deranged when I let out an audible reaction. One nice by-product of listening to the podcast was that it got me into really into understanding some grapes I’ve never really delved into, like Albariño and Chenin Blanc. This wasn’t really going to help me with the contest, as such wines were unlikely to come up in the auction-wine-driven finals, but it did get to the heart of what I think the point of blind tasting is: not to pull off what seems like a nifty trick, but to really deeply understand what’s in your glass. and what makes it what it is. I found myself looking forward to focusing on non-auction-type wines after the contest was over. Another by-product of listening to the GuildSomm episodes was changing the way I taste wines blind from the bottom up, relying less on instinct (which can serve you well but also lead you astray) and more on analysis of the wine’s structure and relying on deduction to get to the right answer. I had always done this to some degree, but putting more thought into it made me see that this was the only way to really get to next-level skills. All this really helped me put things into perspective ahead of the contest finals. A single tasting of eight wines would be a fun test, but the true measure of where I stood as a blind taster was better captured by how I did over the five or so weeks I practiced, and how I would build on that in the future. In some sessions I rocked and essentially got 3 out of four wines; others I was 2 for 4 with reasonably close wrong guesses on others; sometimes I was 1 for 3 or 4 with some wildly wrong misses. I got better at deduction over time, but I also learned how far I have to go, how much better I can be, and a path to get there. No matter how I did in Vegas, I knew the retooling process that I had begun meant that regardless of outcome, a year from now I will be miles ahead of where I am now if I keep at it. One more blind-tasting-related obsession was more of the guilty-pleasure type: watching the new show “Uncorked” on Esquire TV, which was essentially the documentary “Somm” turned into a six-episode long season. Watching the MS candidates (including a friend, Morgan Harris, currently a somm at Aureole) practice their blind tasting in prep for their exam was entertaining and inspiring. Not quite inspiring enough to make me study tons of theory and trace maps of wine regions, but got me into the mindset of gearing up for one winner-take-all tasting to see where I really stood when you have to put an answer whether you know what the wine is or not. One fun bit of inside baseball when you’re watching the show: any scenes where one of the judges, Laura Maniec MS, is giving a Morgan a hard time are a little extra fun to watch if you know that Morgan used to work for Laura at Corkbuzz so there’s a mentor relationship subtext going on. Next post: find out how the finals in Vegas went! This past week, I was meeting a few friends for what we knew was going to be a lively conversation; the task was to find a fun place to enjoy some good food and great vino but it also had to be centrally located in Manhattan since we were all scattering in different directions afterward, ranging from the UES to downtown to New Jersey. Midtown has a lot to offer but it doesn’t leap to mind first when it comes to cool wine bars – places like Ten Bells, Terroir and Racines are mostly downtown. 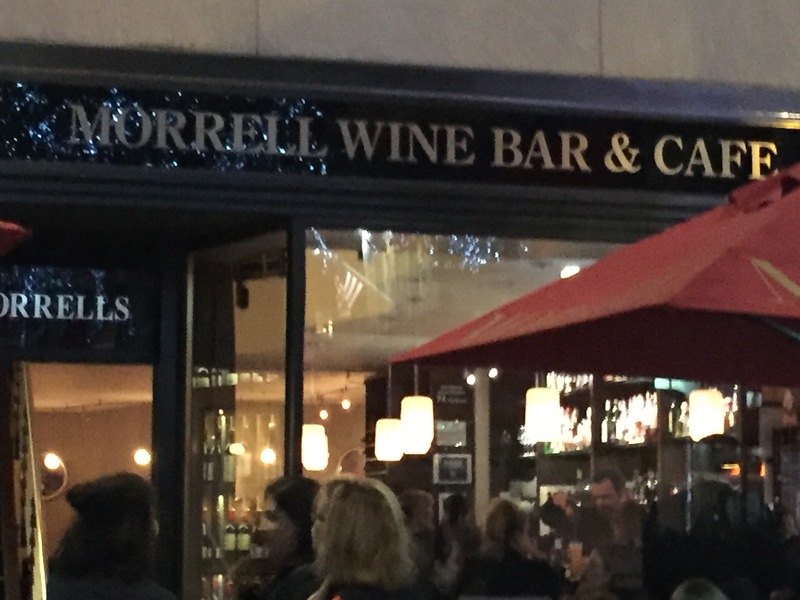 Not a lot of people know that a good answer resides right in the midst of Rockefeller Center: Morrell Wine Bar and Cafe. A few of you might be raising an eyebrow or two at me right now, perhaps with good reason. Until recently, my own concept of Morrell‘s was shaped by visits to the retail store more than a decade ago, and it was always a good store but the style was traditional, perhaps even a bit stodgy. Well, times have changed. You can still go there to pick up your favorite classified-growth Bordeaux, but with a few hip young folks at the helm like Eric Guido (a former pro chef and writer of The Cellar Table@Morrell wine blog) as wine director on the retail side (full disclosure, he’s a friend) and Anna-Christina Cabrales as wine director in the wine bar, Morrell‘s has quietly become the kind of place that winos with palates seeking a bit more adventure can turn to to find their Foillard and get their Ganevat on. The choices are extensive for those looking to try a vinous variety – the list of wines by the glass alone runs 9 pages and is nicely balanced between traditional stalwarts and hipster somm favorites. Wines are also available in tasting pours and so I asked Anna-Christina if she could put together a flight for us to taste blind. She was all ready for me and snapped into action, arranging a flight of whites presented, as she put it, “Court of Master Sommelier” style (she’s prepping for the Advanced level currently). She pulled no punches either – giving us a Vouvray from Pinon (one of my fave producers from Dressner tastings past), a Pazo Señorans Albariño, and a Domaine de la Pepière Cuvee 4 muscadet. I went 1 for 3, with thankfully no terribly embarrassing misses, but the most important part was this – she made me justify my answers, right or wrong, which is exactly the step I need to take to get to the next level. I learned a ton. The food was tasty, above average for a wine bar. 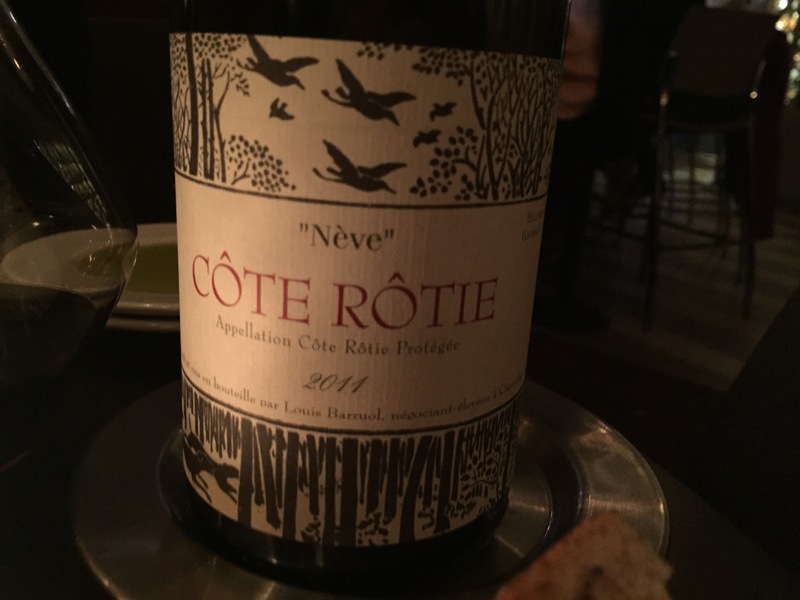 A pulled pork tacos app and a short rib entree paired well with the bottle of red we asked Anna-Christina to pick for us – a Cote-Rotie “Neve” by Louis Barruol. Boy, did she have me pegged; I love Cote-Rotie and I’ve been a fan of Louis Barruol’s Chateau St. Cosme for years. This wine had a beautiful soaring nose with lots of high-toned but sweet red and purple fruits, present oak lending a bit of caramel nuttiness, and classic Côte-Rotie herbs and underbrush, with a suggestion of meatiness too. The exuberant fruit combined with the other elements placed this somewhere between traditional Northern Rhone and New World syrah; this could be the gateway wine from Alban to Allemand. “8 blue-chip wines? Free? Say no more”, I thought. I really didn’t care if I embarrassed myself with my guesses, how often do I get to drink auction-house caliber wines? And, ever since watching the documentary “SOMM”, I’ve been kind of curious to see how I would do under more formal testing conditions, rather than our informal “guess if you want to” format for my regular blind tasting club. The folks at Heritage welcomed us graciously into their offices, where a friendly rep from a champagne house was pouring some bubbly to welcome us. Ok, not just any champagne house – Moët, and she was pouring 2004 Dom Perignon. Boom. My first time having the 2004 vintage of DP and it was less mineral than the 2002 and 2003, but mighty fine – crisp but also with a bit of richness. Along with the tasty hors d’oeuvres coming around, the Dom has us off to a great start. We were then seated for the tasting challenge. After I sat down, I realized I had a problem: someone sitting near me was wearing an overpowering amount of cologne, which obliterates your ability to smell the wines analytically. 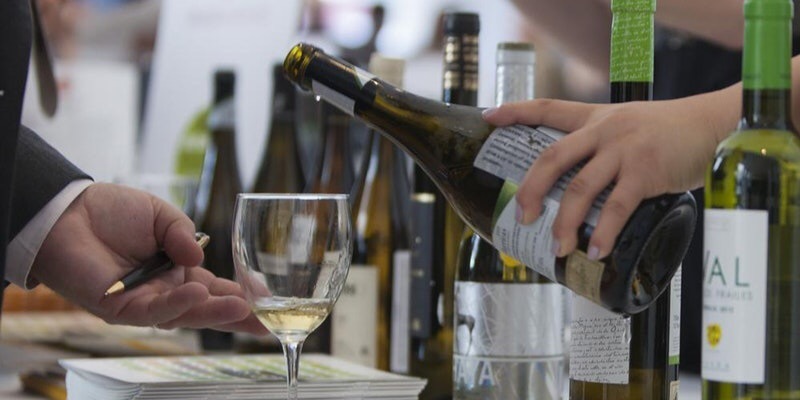 It’s a simple rule that pros know, but consumers may not have thought about: never wear cologne or perfume to a wine tasting. I made a brief attempt to find another seat, but the tables being used for this session (there would be two more later) were mostly filled, and I decided, “who cares how you do anyway”. A team of servers brought out the first two wines, both whites. The first had some golden color and some slightly oxidized caramel notes that made me feel this wine had not aged well. Sort of reminded me of the Kongsgaard The Judge that Jay H had poured recently for the blind tasting group. Viscosity-wise, this also fit, so I was leaning California chardonnay already. Could it be a Rhone white instead? Yes, but I wasn’t getting the waxy, lanolin impression I often get on Rhone whites, and it just didn’t smell or taste like Hermitage blanc or Chateauneuf blanc to me. Could it be white Bordeaux? Yes, because the aged caramel part fit – I’ll be honest, I don’t think white Bordeaux in general ages very well; examples older than ten years from vintage often feel over the hill to me. But, I didn’t pick up any Graves mineral here. So I followed one of my rules of thumb when it comes to blind tasting: go with your first hunch. I decided to guess California chardonnay, but without thinking too much about what producer and vineyard this might be, I decided to check out the other wine on the table (It turns out I was pretty wrong on this particular guess, but I stand by my advice to go with your first hunch generally). The mineral on the nose of wine #2 made me think it had to be white burg; I rarely get this on, say, California chardonnay. Plus since I thought wine #1 was Cali chard, a Burgundy next to it would make sense. The wine was elegant, composed, and possessed a depth of flavor that I really only get with white Burgundy. Thinking of chardonnay from other countries besides France and the US, I have had some wines from other countries that have passed for Burgundy but I couldn’t think of any that I thought would be considered “blue-chip”. For now, my guess would be burgundy white, but the reds were arriving on the table so I moved on, and I often find it helpful to come back to a wine later to see if my re-check matches my first impression. Wine #3, the first red, has a lot of mineral on the nose – a slatey rock that made me think Bordeaux at first. I picked up glass #4, and that smelled like Bordeaux to me too. #5 on the nose, had me completely lost. And #6 smelled like Bordeaux to me as well. “Uh-oh,” I thought. This was going to be a tough tasting – they couldn’t be pouring us that many Bordeaux, so they must’ve picked some Californias that hew very closely to a Bordeaux style, and it seemed the main task in these reds would be to pick out which were Bordeaux and which were Napa – no easy feat when the wines get enough age on them. Going back to wine #3 to taste, and attempt to identify: again the rock on the nose, but also I noticed it was very bretty which made it hard to read. This made me lean towards the Rhone, which I don’t drink often, but is one of the regions that I tend to get brett from more often than from other regions. On the palate, though, it didn’t taste like a Rhone to me. No confidence on this one, so I punted and said I’d come back to it. Returning to wine #4, this still felt like Bdx. Right Bank or Left? Could not get a read. On to wine #5 to taste. This was still utterly confounding. Color seemed a bit lighter than the others, but it didn’t taste like pinot noir to me. Also, would they place a light-bodied pinot-noir after two heavier French reds? It didn’t add up. It didn’t have the profile of a nebbiolo either. What could be blue-chip, but be this much of a mystery to me? Trying to regroup, I went to wine #6. Still seemingly Bordeaux. By now, wines 7 and 8 were on the table. Wine 7 has the lush fruit of something New World. Gosh darn if wine #8 doesn’t feel like Bordeaux varieties as well, but from somewhere New World. At this point, I realize that I think that 4 or 5 of the 6 reds are composed of Bordeaux varieties, and the remaining red is an utter mystery. I am screwed. I go back and forth among all the glasses, and my feeling of being lost doesn’t get much better. I decide I have to divide and conquer – focus on one wine at a time and try and nail down what it is. What’s a wine that seems pretty clear as to region? #8 feels pretty definitely New World. Napa probably. Tasting again, seeking clues on producer: doesn’t seem as austere and Bordeaux-style as a Ridge Monte Bello, Montelena or Togni. This wine is more ripe than that, but not over the top. I can’t help but notice the quality. Whatever it is, it is very good. What’s this good, but midrange in style for a New World red? I consider Mondavi Reserve, but this seems still more bold than that. Shafer Hillside Select has blown me away like this in the past, and fits the style, so I go with that guess. I haven’t had many vintages of HSS, but 2006 is one of them, and I just guess that for the heck of it. One wine down. #6 really feels like Bordeaux to me – but Right Bank or Left Bank? Searching for more specific clues, I am struck by a bit of perfumed quality on the fruit on the nose. What place is known for perfume? Margaux. What blue-chip Margaux do I know? Chateau Margaux, and Palmer are the top 2. But then, plenty of Right Bank reds come off as very perfumed to me too. Tasting it, I realize that this reminds me of an early-90s Chateau Palmer I had once (I’ve only had Palmer twice), but this wine is more tannic. I put down 1996 and move on. I go back to wine #4, which reminds me a lot of 6. Since I decided went Left Bank for wine 6, I decide to go Right on this. It has a stoniness, and seems fairly well resolved, so I go with ’82 La Conseillante. Frank Martell of Heritage comes around and tells us to start wrapping it up, as time is running out. I only have 3 guesses down, and I’m flailing. Time to speed-guess. Highest confidence wine remaining is wine 2, which I’m pretty sure is white burg. Puligny? Chassagne? Could be, but as I start thinking about filling out vineyard, I realize my experience is not deep enough to guess vineyard. I might have a better shot at producer. I decide it is reasonably similar to some Henri Boillot Batard-Montrachet I’ve had once, the 2010. This doesn’t seem like the same wine – I try to judge approximate age and vintage character and I go with 2009. Wine 1 was my Cali chard guess. What’s blue-chip but probably not aging well? Something big like Marcassin, though I’ve never had an older example. No time to quibble; I put Marcassin chard, Marcassin vineyard. Wine #3 seems like a Bordeaux, but they couldn’t give us that many Bordeaux in one tasting, right? So what do I mistake for Bordeaux, that would have that bretty note? I once guessed Bordeaux on a Jamet that someone in the group poured so I decided to go with that with time running out, even though I got no Northern Rhone spice or herbs. A totally no confidence stab, made all the better because in my scramble to get some answers down, I actually guessed a wine that does not exist. I wrote Jamet, Cote Rotie, La Chapelle for the vineyard – and of course I was actually thinking of Jaboulet’s Hermitage called La Chapelle. Did I mention that blind tasting is humbling? Wine nerds, go ahead and have a good laugh at my expense. Wine 7 I get lush fruit, but also a bit of peppery spice, so at the last minute I decide to guess Cali syrah. That left Wine 5, the complete mystery. I ended up guessing as a nebbiolo given the wine’s lighter color and body but also recognizing what seemed to be un-pinotness. Frank ended up scoring my guesses before I left, and told me that I did pretty well – a total surprise to me. I held onto glass #2, and enjoyed it to the last drop, though the wine I regretted not keeping was wine #8. I enjoyed one more lovely (and shamelessly full) glass of Dom Perignon that the rep was kind enough to bring over as a reward for finishing the challenge, and was on my way to the rest of my Saturday. The next day, we got an email revealing what the wines were, and I wasn’t feeling so great about my guesses after all. A big swing and a miss for me on this one. Whew. At least I’m not getting a zero today. The fact that I guessed this crisp, amazingly fresh 20+ year old wine as being a 2009 just shows how great white Burgs were before the awful phenomenon of premature oxidation started afflicting the region’s whites. The thought of that makes me weep..
Friends who tasted in later sessions thought this was great; I think I got the 66 La Miss from a different bottle – mine was borderline flawed. In retrospect there was a lot of crushed rock on the nose which at least made me sure it was France, but it should have clued me in that this was a wine from the Haut Brion diaspora (scorched earth). I was a little lost because it was unlike Bordeaux that I’ve had, but then this is the first bottle from the 60s I’ve ever had. Nice wine. I suppose I’m happy enough with my ’82 Conseillante guess. Like I said, confounding. For someone who considers red burgundy to be my favorite category, this is a big miss. Ben G loves to make fun of me for ever calling Burgundy as Barolo, and he has more cannon fodder on me now. I’m later consoled by the fact that my friends in other sessions didn’t pick this out as a Burg either. Got most of the points here – my ’96 Palmer guess helped me save a little face today. Whew! My last minute stab at calling this Cali syrah was probably ill-advised. I need to remember that Napa cabs and merlots can show pepper sometimes. My guess was not close, but I’m at least glad I detected the undeniable quality here. I think HSS is a great wine so I’m alright with it turning out to be Grange, which based on this example, absolutely lives up to its iconic reputation. Thanks to Frank Martell and crew for generously sharing this stupendous wine as well as all of the others. My guesses were pretty spotty, but at least I drank well! And learned a lot in the process. In the pages of this blog I have over the years made various references to the wines of Rhys Vineyards in the context of other wines I have written about, but I’ve never written directly about the Rhys wines before. This is partly because there has been no shortage of press about Rhys, as writers like Eric Asimov of the New York Times, Mike Steinberger (then with Slate) and critics like Allen Meadows and Josh Raynolds have written effusive praise. I have been a buyer of the wines however, going back to some wines from the 2006 vintage, but mostly of small allocations due to budgetary constraints. Given that Rhys’ wines are made in a style that is thought to require age to show at their best, I’ve opened relatively few bottles, and never more than one at a time. Recently given the chance to join a group dinner sampling more than a dozen Rhys wines in a single evening, encompassing a number of vintages and including some bottlings I’ve never tasted, I jumped at the opportunity to gain a little knowledge to help inform my future purchases. A group of ten dedicated Rhys fans gathered at Peking Duck House, and we kicked the evening off with a look at three pinots from Bearwallow Vineyard, one of Rhys’ newer vineyard holdings, in Anderson Valley. The 2008 Bearwallow pinot showed a perfumed nose, but the palate doesn’t quite live up. The 2011 and 2012 Bearwallow showed earthy mineral noses and lots of tannin structure, too much to be approachable at this early stage, but the 2012, while painfully young, showed a bit more generosity of fruit that suggests that this will be the best wine of these three when given some proper aging. 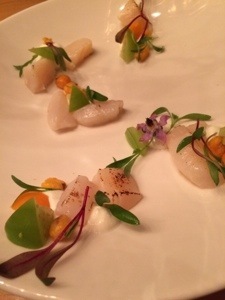 A few weeks ago, P and I stopped in to Pearl and Ash, one of NYC’s hottest new restaurants, known to be especially popular with restaurant industry types and the wine-minded set. 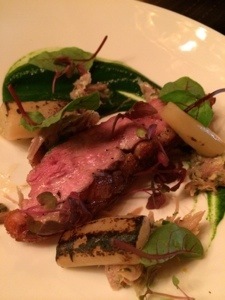 After enjoying a wonderful meal there, I can only say, I certainly understand why the place is popular – the food is delicious, the service impeccable and the wine list is both well put together and affordable. The first thing we did was order wines, of course. A good variety of wines by the glass are offered, and I got my spätlese-loving wife a glass of Vollenweider 2012 Krover Steffensberg, which was light in its feet and not overly sweet – perfect as a companion to some of the seafood small plates we ordered: diver scallops (outstanding with crème, shiso and was that a corn chip(?) as flourishes) octopus, grilled squid. 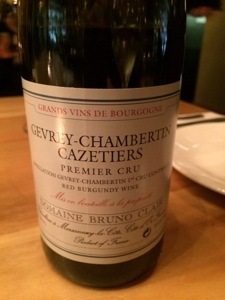 I went for a bottle of premier cru red burgundy, the 2010 Bruno Clair Gevrey Chambertin Cazetiers, an absolute steal at $125 off the list. The markups throughout the list are pretty reasonable, but this one is a gift to those in the know. I will say no more. Trust me, order it. The servers work as a well-oiled machine of a team, as at least 6 young hipster servers visit our table with perfectly efficient timing to deliver or clear plates. The short rib is pleasing, the pork meatballs perhaps the only slightly false note in that it’s a touch too salty when combined with bonito flake s, and the duck with salsify is just dreamy in combination with my Burgundy. After the dark chocolate/almond dessert and an ice cream sandwich, we swirled our Burgundy and basked in the ambiance and each other’s company, determined to return again soon. Regular readers of these pages know that I enjoy doing blind tasting from past posts like this, this and this. After watching the entertaining documentary “SOMM”, about sommeliers preparing for the demanding Master Sommelier exam that includes rigorous blind tasting training and testing, my interest has only deepened. (I couldn’t help but wonder if some of the testing of obscure knowledge shown in SOMM really improves wine service in a meaningful way, but I do believe that blind tasting with the kind of precision shown does seem to hold some value in terms of forcing one to really hone in on and learn the characteristics of recommendable wines out there). So, I went to this month’s Blind Tasting Club dinner with a little extra anticipation. The ground rules: one host for the evening selects all wines, allowing for planned flights and themes. Tonight’s host was Leo F., our club’s namesake. In the past, Leo has poured many wild card wines, so I was prepared for a crazy ride. Arriving a bit late, I missed my chance to guess at the first wine, but got a taste of it: a 1997 Domaine Carneros by Taittinger California brut sparkling wine that showed some age in its golden hue but was quite refreshing on the palate. 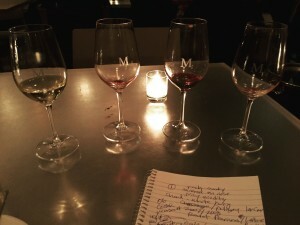 The first flight of four wines was pretty clearly chardonnay to me, and all lovely ones at that. They all showed beguiling noses of gorgeous but tasteful fruit framed by a touch of vanillin oak, and the real question was, where are these from? Wines three and four had a more pronounced racy acidity that I rarely encounter in Californa chard, so I seized upon this clue to guess that wines 1 and 2 were from California and wines 3 and 4 from Burgundy. 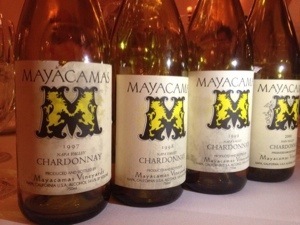 Answer: the flight was a vertical of 1997-2000 Mayacamas chardonnay. Leo had thrown one out over the plate, and I only managed to foul it off into the seats. Next was a flight of reds. Wine 1 had ripe dark red-to-purple fruits on the nose and some evident oak, which planted the hypothesis of a New World wine based on Bordeaux grapes into my head. Wine 2 was more controlled but also pointing toward Bordeaux grapes. Wine 3 felt like another key clue to the flight – the combination of slightly green herbal varietal character and stony mineral definitely felt like Bordeaux. Wine 4 was open, ripe and oaky – a prototypical modern international red. 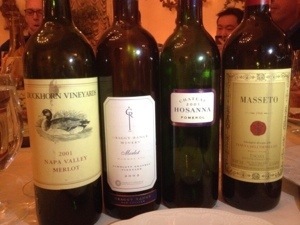 I guessed that the flight was Bordeaux blends from 4 different regions. Answer: Merlot or Merlot blends from 4 regions – 2001 Duckhorn merlot, 2002 Craggy Range Gimblett Gravels from New Zealand, 2001 Hosanna from Pomerol, and the blockbuster (by price anyway) wine of the flight, 1998 Masseto. In voting before the reveal, I picked Hosanna as my favorite of the flight, followed by the Masseto. The Craggy Range showed well too – composed and elegant. I’m happy enough with my guess – call it a standup double. The next flight of 4 wines all read like #3 from the last flight – Bordeaux varieties with a touch of green, and stony mineral. My first guess was all Bordeaux from the same vintage, but the host let slip that they weren’t all the same vintage, so I reformed my guess: a certain similarity among all four wines led me to guess all four wines were from the same Bordeaux producer. It seemed a reasonable guess that Leo was progressing to Left Bank. Given the nature of the slightly green fruit character and amount of stony mineral, I guessed Pichon Lalande. 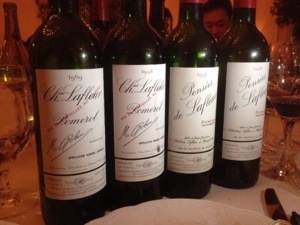 Answer: two Pensées de Lafleur (’97 and ’98), and two vintages of Ch. Lafleur, ’98 and ’99. Because of its cost and rarity, this was my first time having Lafleur – thanks Leo! The wines did not disappoint. The Lafleurs did outstrip the Pensées, showing perfumed noses that were a virtual tie in quality. On the palate, the ’98 lived up to the vintage’s reputation as strong in Pomerol; there was more depth here on the palate than the ’99. Both Lafleurs showed more generosity of fruit than the Pensées; while form held here, this was an enjoyable and educational flight. I would’ve been happier if I had guessed La Conseillante, another Pomerol that leans stony and slightly green in some vintages, but I’ll give myself a bloop single in this flight. The next flight was confounding. Leo gave us a hint that these wines were about 20 years old; Suzanne remarked that these seemed Bordeaux-like again, and they did, except for a certain aroma, almost a nuttiness, that didn’t smell like 20 year-old Bordeaux or California cab to me. A stony mineral was present here that signaled Old World to me. I thought back – what had I ever mistakenly guessed as Bordeaux at about 20 years of age? Odd as it sounds, I have guessed Chateauneuf du Pape around that age as Bordeaux before, so I went with that guess, unconfidently. 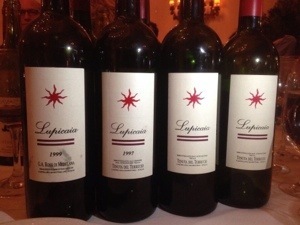 The wines turned out to be a staggered vertical of Lupicaia, a Tuscan (Bolgheri) blend of Bordeaux grapes, including vintages 1993, 1995, 1997 and 1999. In expecting Leo not to give us such a similar flight again, I had done something I’ve heard master somms warn against – forming a hypothesis too early and then making your guess fit that hypothesis and ignoring some other signs that point in another direction – or lack of signs that should be present if your hypothesis is true. Here I knew there were Bordeaux grape characteristics, but the nutty character that led me toward guessing CDP (and that’s not even something I strongly associate with CDP) was not accompanied by other classic Southern Rhone character like spice or grenache or syrah flavors. A total swing and a miss on this flight; I was looking for the breaking ball so much that I missed a cut fastball in the strike zone. In the end though, it’s the wines I get wrong that I love in blind tasting – that’s when I really learn. Bolgheri, I’ll be ready for you next time!